When it comes to improving company performance, there are few better methods than the sharing of ideas. While business meetings, both formal and informal, are the mainstay for exchanging information, this approach is often between only two organizations or just a handful of individuals. But in today’s larger, more global business world, conferences are increasingly becoming the ‘go to’ method for sharing ideas. Currently, the chemical industry is on the cusp of a new era, where ‘sustainability’ and ‘Industry 4.0’ are forging new paths for chemical companies. This makes the next few years a crucial time to share information to cope with these challenges. It has become a crucial time to attend conferences. Take for example the 2017 Green and Sustainable Chemistry Conference that took place in Berlin last year. A 4-day event that focused on the chemical industry’s impact on the environment and how chemical companies can save money and be more ecological at the same time. One attendee, Christina Välimäki, the VP of Segment Marketing & Research at Elsevier, noted how the sharing of ideas at the event gave chemical suppliers the best-practice methods to achieve the advantages of green and sustainable chemistry. Ultimately, they were able to establish common goals for the betterment of individual chemical producers, as well as the chemical industry as a whole. 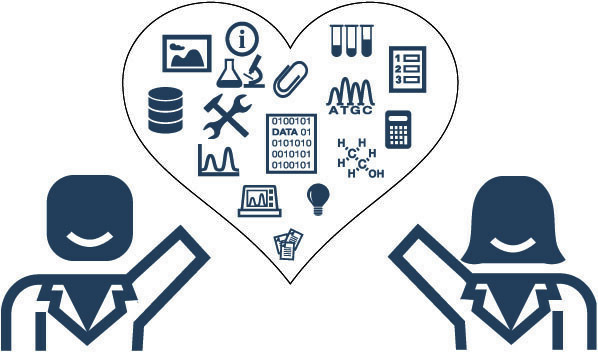 Alongside the goal of sustainability, another key opportunity for the chemical industry is ‘Industry 4.0’; the notion that effective analysis of massive amounts of data can improve chemical innovation, production, supply, and sales. Interestingly, Todd will share her ideas at the upcoming CIEX 2018, being held in Frankfurt, Germany, as she will participate in panel discussions on topics such as ‘Unlocking Opportunities from the Bio-Economy’ and ‘Capturing New Global and Regional Opportunities’. The CIEX 2018 event covers a wide range of topics affecting the chemical industry and includes speakers and panellists from key influencers such as BASF, Covestro, Cefic & DowDuPont. When Todd was asked further about her eagerness to participate at CIEX, it became clear that she also believes in the value of conferences for exchanging ideas, as well as sharing the challenges (and solutions) facing today’s chemical industry. Clearly the exchanging of ideas remains essential for the wellbeing of the chemical industry, as all technological advances are based on the foundations of earlier research; ‘Standing on the shoulders of giants,’ as Newton put it. And when it comes to business, nowhere can this be done better than at an event such as CIEX 2018, because without sharing, chemical industry innovation stagnates. ­­CIEX is the premier event created for R&D and Innovation experts from the consumer, industrial and specialty chemical sectors. Every year, CIEX brings together all players across the value chain to create a unique platform for participants to learn, exchange ideas, and collaborate. This year, CIEX is scheduled to be held on September 19-20 in Frankfurt, Germany. Connect, discuss and discover the most compelling ideas emerging globally with an unmatched group of innovators from companies such as Merck, DSM, BASF, Cefic, Lego, IKEA, DAW SE, Avantium, Evonik, Unilever, Covestro and many more! 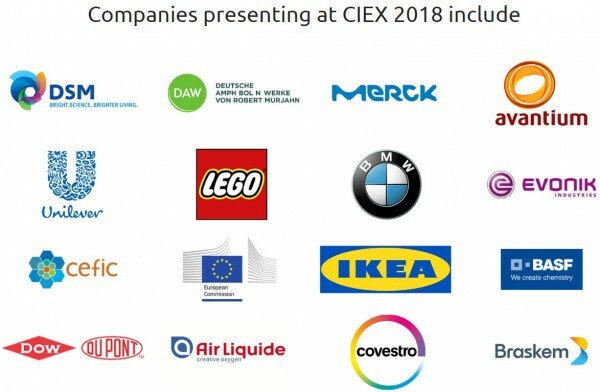 You can view the conference agenda and speaker panel at: https://ciex-eu.org. SPOTCHEMI partners and subscribers get 15% off. Use promo code SPOT15.